New to lobsters? Don’t worry! We’ve written down all of the most common questions from the past seven seasons and put them right here! Select any topic to jump ahead. Q: How do I cook my lobster and steamers? A: A good rule of thumb is 9-10 minutes per pound. For example: Say your lobster weighs 1.5 lbs. Bring salted water to a boil, put your lobbie in the pot, then start your timer for 15 minutes once the water returns to a boil. Steamers should be steamed or boiled for 5-10 minutes. Clams are done cooking when the shell pops open. If the shell does not open after 10 minutes, do not eat the clam. We also send cooking instructions with lobster deliveries. Q: What do the different colored bands on my lobsters mean? A: Lobstermen use the color of their choice. Bands can be random or a lobsterman’s favorite color. Some are even superstitious about their chosen band color! The bands do not signify anything about the lobster itself (they have nothing to do with size or shell grade). When shipping lobsters, we hand select shell grades that will ensure safe travel to your doorstep. Q: What’s the difference between hardshell and softshell lobsters? A: In the beginning of every summer, lobsters migrate inland and shed their shells. 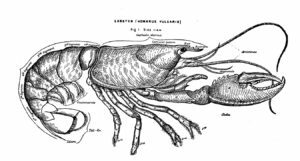 This molting process is what differentiates a hardshell lobster from a softshell. Hardshells are mostly winter and spring lobsters, although you can still find a small percentage of them year round. The shell is difficult to break into, but they have more meat than a softshell. Softshells have sweeter tasting meat and an easily breakable outer shell. Softshells are considered a summer lobster and do not travel as well as a hardshell. Q: What the heck are “chix” and “culls”? A: Chix are one-pound lobsters. Culls are what lobstermen nickname any size lobster that has one claw. Sometimes, culls have two claws that have not grown to full size. If a lobster has no claws at all, we call it a pistol. Q: What forms of payment do you take at the dock? A: We accept cash only at our retail location. Please no checks. There is an ATM less than a mile away. Q: What are the lobster prices on the dock? Q: Can I call in my order in advance? A: YES! For large orders and cooked lobbies, please do! We highly recommend calling ahead and reserving what you would like. We will need a name, phone number, number of lobsters, size, live or cooked and time of pick up. We always repeat your order back to guarantee that we get your order right! Q: How long do my lobbies stay warm after you cook them on the dock? A: We package our cooked lobsters in paper and plastic to make sure they stay hot for at least an hour. Careful opening the bag! Q: Can I eat at the dock? What do you serve with the lobsters? A: Our lobbies are packaged to go only. We do not allow consumption on the property nor do we serve any other items. There are plenty of places in town to grab butter, lemon, and paper towels. We ask that you enjoy your lobsters off the premises – maybe head to the beach! Q: Can you cook steamers for us as well? A: We are not licensed to cook steamers at the dock. Clams are sold live only. Q: Why do your lobsters taste so good? No really! A: Our lobsters are caught fresh, right outside the mouth of York Harbor. Our lobsters are landed in the York River, one of the cleanest saltwater rivers in Maine. We boil them in the river water to maintain that salty goodness. You really can taste the difference! Q: Can I pick up a lobster and take pictures? Q: Will you pack my lobsters for travel at the dock? A: If you bring a cooler with you, we have all the items necessary to pack your lobsters for travel. Our staff is trained on how to pack live seafood to ensure they safely make it to their destination. Never let your lobsters sit in melted ice water. Drain your cooler as needed! Q: How long do lobsters last out of the water? A: This depends on shell grade and quality. Lobsters can live anywhere from 24 hours to five days if kept cold. They like the temperature of your refrigerator and do need some air to breathe. Q: Do you wholesale lobsters? A: We do not wholesale lobsters but have the capability to sell large quantities. We have cooked and packed hundreds of lobsters for individual customers! We have access to thousands of pounds of local lobsters every single day! Q: Do you sell other shellfish, seafood, or bait? A: We only sell lobsters, clams, and apparel. And we’re damn good at it! Do what you know and know what you do! Q: Can I pick up lobsters outside of the posted hours of operation? A: For orders of 20 pounds or more, we will do our best to accommodate your needs. We will fulfill the order as long as a staff member is available to meet you and we have the stock requested. Q: Is there a price break for large orders? A: We frequently run daily specials at the dock! Otherwise, we start price breaks at 100 pounds or more. Specials cannot be ordered in advance, please call day of. Q: How long can I keep lobsters once they arrive? A: You should plan on cooking your lobsters and steamers on the day they arrive. Keep them as cold as possible in the refrigerator or on ice in a cooler. (Never let your lobsters sit in melted ice water. Drain your cooler as needed!) Do not try to keep them in fresh or salt water. No, they cannot live in the bathtub! Q: What days do you deliver fresh lobsters and clams? A: We ship fresh, live lobsters Monday through Thursday for Tuesday through Friday deliveries (via FedEx overnight shipping). Saturday delivery is available for an additional $50. If you choose a Saturday delivery date, make sure you select the Saturday delivery option on the product page to avoid any delays with your order. Q: Can I mailorder steamer clams on their own? We are excited that we can now add fresh Maine clams to your lobster order, but steamer clams are strictly an add-on item – they must be purchased along with lobsters in order to be shipped. Q: Can I plan my delivery in advance? Q: I want my lobsters tomorrow! A: We can do that! But you must place your order by 11AM EST in order for us to prepare and ship your package in time. For example, if you want lobsters to arrive on Friday, you must place your order by 11AM EST on Thursday. Q: What time will my lobsters arrive? Do I have to be home? A: FedEx Overnight shipping generally arrives by 3:00. A driver release is put on all packages so they will be left at the door if you’re not there, but don’t go too far! You definitely don’t want live lobsters and clams sitting out in the elements for very long. A: We only ship live shellfish within the continental United States. Overnight shipments to Alaska and Hawaii cannot be guaranteed, so we don’t take the risk with our product or your purchase. Q: Do you ship large quantities of lobsters, or lobsters even greater than 2 pounds? A: We can accommodate most special orders! Contact us directly and we will help you plan your order. Q: Can I come to the dock and order shipped lobsters? A: We ask that you order directly through our website as our retail location is outdoors and not equipped for internet sales. If you have any questions, please don’t hesitate to call. Q: Can I ship lobsters and apparel together? A: Unfortunately, we cannot send live lobsters in combination with apparel sales. The packaging facilities are two separate locations and shipping times vary.